Linda Peterson, top award winning Broker associate with CENTURY 21 Mike Bowman, Inc. once again soared to new heights in her real estate career. Twenty-seven years ago, Peterson began her career with enthusiasm, courage, expectations and high goals. "It is an honor to have such a quality professional as a member of our firm. We are very excited about her extraordinary achievements, not only within our firm but also her international recognition" stated Mike Bowman, president of CENTURY 21 Mike Bowman, Inc. "Linda has been the top overall in sales production since 1995 for our firm." Linda's achievements are only accomplished by providing service that is better than expected for her buyers and sellers and by being a team player in the CENTURY 21 Mike Bowman, Inc. organization. Peterson is a model real estate professional who leads by example and who is a highly motivated team player providing extraordinary services. Linda is supportive of the musical arts, an avid sports enthusiast, director of fund-raising activities for Easter Seals and Variety Club, and the past president of her alumni association. With the support of her family, hard work and perseverance, Peterson has truly established herself as one of the leading real estate agents in the world. Lonnie and I want to express our sincere appreciation for your performance recently, helping us to find a home in Plano, TX. Your efforts went beyond excellence. We have never previously experienced the level of professionalism that you brought to the transaction. 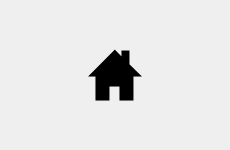 We observed you t be efficient, effective and sincerely determined to discover and meet our needs as home buyers. We have not witnessed a work ethic the likes of which you demonstrated, and which helped us to make a suitable purchase in a compact time frame. The most impressive thing that I noticed about you from our first telephone conversation forwards was that you listen. You began to understand immediately what we were trying to accomplish, and you worked very hard to present only those listings that more closely matched what you had heard described. I cannot tell you how much I appreciated that - it saved a lot of time and frustration. Further, I cannot tell you just how much we appreciated your direct, frank answers to our questions. We will gladly and confidently recommend you to anyone we know who needs a top notch realtor. I recently had the privilege to assist Linda Peterson with one of her clients, Beverly W, in our community of the Townhomes of Westgate. Linda was extremely professional, helping out in every way possible with follow-up calls, making and keeping appointments and managing her clients. I have had the opportunity over the years to work wiwth many fine realtors but Linda exemplifies your profession. 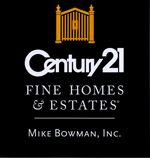 We at David Weekley Homes look forward to a wonderful partnership with Linda as well as all the professionals at CENTURY 21 Mike Bowman, Inc. Thank you and keep up the great work. I am writing this letter to congratulate you for having such an extraordinary person, Linda Peterson, working for your firm, but more importantly, to praise Linda for her cheerful dedication to excellence. We have had the privilege of working with Linda for the past two years in an almost impossible search for the "perfect" place to move. Linda was completely committed to excellence at all times throughout this long tedious search. She was dedicated, diligent and cheerful, she was so very helpful at all times. We just can't believe she could be so wonderful all the time. She does indeed deserve a gold medal for excellence. She is "The BEST". We feel that it is very important to give credit where credit is due and we all must speak out when we have this privilege to work with someone so exceptional, someone that does the job and then goes 100% further to do it "The BEST"! Again consider your firm to be extremely fortunate to have Linda on your team. We just wanted to express our 100% satisfaction and enjoyment of working with one of your agents, Linda Peterson, in the course of purchasing our new home and listing and selling our existing home. Linda has been one of the most professional, energetic, knowledgeable, and helpful real estate agents we have ever dealt with. Erika and I just wanted to let you know that she went above and beyond the call of duty in assisting us in all areas of each of these two transactions. It is a joy in this day and age to be able to deal with a professional of her calibre, and someone with her knowledge and work ethics. Believe me, if any friends, co-workers or associates are in the market to buy or sell a home, your agency and Linda Peterson will be the only company that we will recommend. Again, we did not want her efforts to go unnoticed, so we wanted to write you this letter. Thanks for all of the company's and Linda Peterson's assistance. One of every company's goals is to exceed customers' expectations. We are writing to let you know that this goal was reached and exceeded during the sales and purchase of our new home by your agent, Linda Peterson. At the first step when we listed our home, Linda was so informative and helpful in assisting us in the presentation of our home and explaining all of the various steps we would go through. Our home sold within a week, so we then worked with Linda on the options of building a new home or finding an existing home that fit our requirements. In what seemed to be a quick, smooth sale, there were a few challenges along the way with roof repairs and a lower appraisal that Linda worked with everyone on. The buyers agent also commented on the high level of professionalism she received when she dealt with Linda during the sale. Again, Linda was wonderful in directing us to viewing models and showed us current listings. It was very apparent that Linda knew the area and the market extremely well. We know this will not be our last home and when it is time to again list our home for sale, we look forward to working with Linda Peterson and CENTURY 21 Mike Bowman, Inc. We will also direct anyone we know who is selling/buying a house to your agency. You should be extremely proud of such a great representative in a market that is so competitive.